You can replace existing windows with brand new aluminium windows from Origin. Choose from a number of styles including casement, bay windows and gable windows to complement your home. Our aluminium windows complement any property type from period properties to homes with a more contemporary feel. With bespoke options to make your windows as unique as you are. We’ve chosen Origin as our partner – because their aluminium windows offer a class above the rest with market leading profiles that are unrivalled on the current market. Intelligently designed to provide a high performance solution as well as visually appealing aesthetics, our aluminium windows are unbeaten when it comes to quality and functionality. If you’re looking for aluminium windows that will not only exude a high end appeal but that will withstand the test of time with a durable and robust profile, look no further. With lightweight and resilient premium grade aluminium, our windows offer a slim profile that offers an elegant finish. The edge of our aluminium windows frame can be as close as 50mm from the glass allowing for maximised natural light to flood your home creating the illusion of more space and creating a warm and inviting environment. They are also exceptionally thermally efficient, helping you save money on energy costs and keeping your home comfortable and inviting. Our aluminium windows offer a low maintenance solution that is packed with features such as thermal insulation and advanced modern technology that works to keep your home protected and watertight. Enjoy a home that is warmer for longer with intelligently designed windows that retain heat rather than letting it escape into the atmosphere. No matter the weather, your home will be warm and dry giving you the confidence that your aluminium windows are performing well. Even in the most adverse of weather conditions your Derby home will be protected. Our Origin aluminium windows come with a 20 year guarantee which gives you complete peace of mind about the longevity of your windows lifespan. All of our aluminium windows are put through rigorous assessment to make sure that they exceed expectations. We promise the ultimate window solution, every time. You can create your Origin aluminium windows to suit your home and complement your décor. With the option of dual colours to choose a different colour for the internal and extern part of the frame, your windows will look the part. Whether you want them to blend seamlessly into the surroundings, or pop out with vibrant colours, the choice is yours. You can rest easy when you have Origin aluminium windows installed into your Derby home. 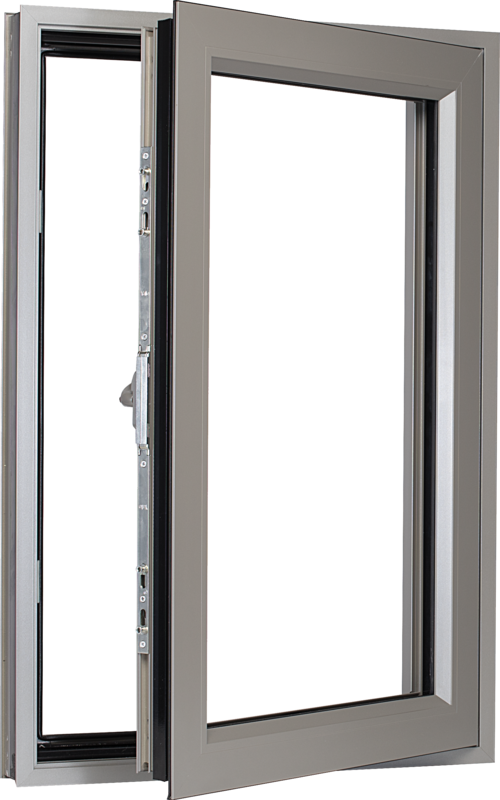 Each of our aluminium windows comes with Yale’s renowned Encloser system offering the highest level of security available by engaging cylindrical cams into the window keeps. Tested to PAS 24:2012 our aluminium windows exceed the latest security standards and give you complete peace of mind. Did you know that Origin aluminium windows won’t suffer with issues such as flexing, warping or corroding? You won’t need to spend time or money on the upkeep of our windows because they are created using aluminium that out performs uPVC and traditional timber. Weighing 67% less than steel, our premium grade aluminium offers flexibility of design without compromising on security or strength. Discover the benefits of fitting Origin aluminium windows into your Derby home by calling our friendly and expert team on 01332 737885. You can also send us a message by using our contact form or use our design tool to get guideline prices. Visit our doors page.